Not only will Mars not be anywhere near Earth or the Moon as of August 27, it will actually be quite far off: 2.523 AU, or about 234.5 million miles away, and almost on the opposite side of the Sun — it won’t be visible in the night sky at all. 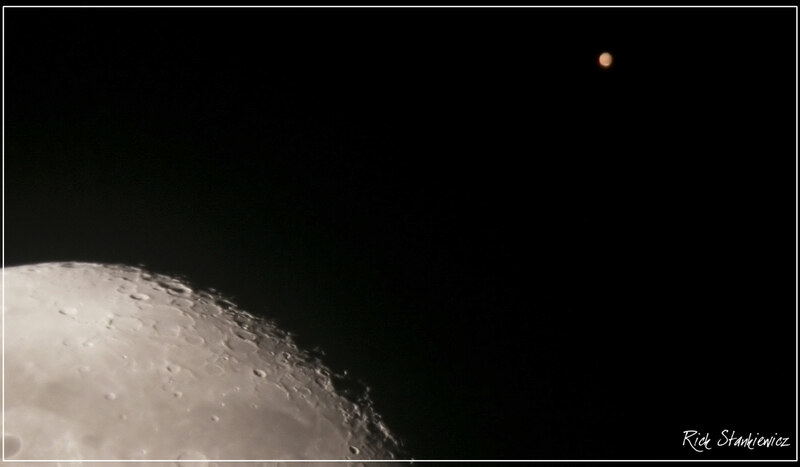 Besides, the closest Mars ever gets to Earth is about 35 million miles, which is still much, much too far away for a planet half the size of Earth to appear as large as the Moon (which is about 1/4 the size of our planet) in the sky. In fact during an opposition event (when Earth and Mars reach their closest points in their respective orbits, which occurs every 2.13 years) on August 27, 2003, Mars came the closest to us in over 50,000 years – and still it was 34.8 million miles away. 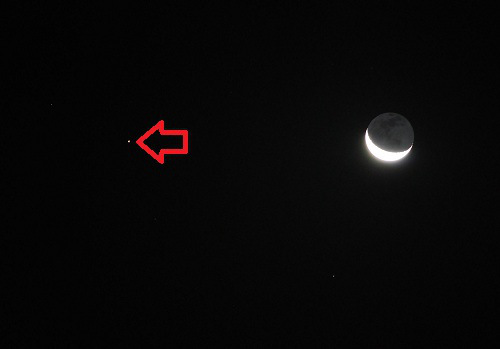 It was a nice viewing event for amateur astronomers, sure, but still very tiny in the sky compared to the Moon. That was also when these “double Moon” rumors appear to have started, so perhaps we can just blame bad science reporting for the whole mess. But the real problem here isn’t necessarily the (very) wrong information, it’s that people otherwise unfamiliar with astronomy who may think this is a special event that they’ll be able to witness for themselves in the night sky end up getting disappointed… which is the opposite of what astronomy should instill in folks. Great, just great. So which one of us is going to tell Marvin that his plan to pull Earth into Mars’ orbit has just been cancelled by a little thing like science? I know – let’s send the duck to do it! On a more serious note, I share your sentiment that rumors like this can lead to disappointment in some cases – and mass pandemonium in others (but that’s more radio than Internet). That people fall prey to rumors like this also points at a lack of real education taking place with regards to some very basic astronomy – or, at the very least, how to properly fact-check Internet rumors. We try to avoid disappointment in many cases and mass pandemonium whenever possible. Thanks. I try to keep fighting the good fight! The thing that’s so alarming about ignorance (besides that it can be so easily cured) is that it makes people credulous and easily fooled. It’s all the more tragic, as stormwise mentions, considering we have this wonderful fount of information at our fingertips. If you Go Ogle for [Ron Miller planet art] you’ll find some great (and I hasten to point out: not real) images of what it would look like if Jupiter or Saturn or Neptune (et al.) were in the moon’s orbit. Very cool images. And the Russian Space Agency created a nice YouTube video showing what various other interesting astronomical objects would look like were they much closer.